MAKE YOUR NEXT VOLUNTEER TRIP COUNT BY JOINING ONE OF OUR PROGRAMS AND BECOME PART OF A WORTHWHILE CAUSE IN THAILAND TODAY! Thailand is a monarchy in Southeast Asia with coasts on the Andaman Sea and the Gulf of Thailand. 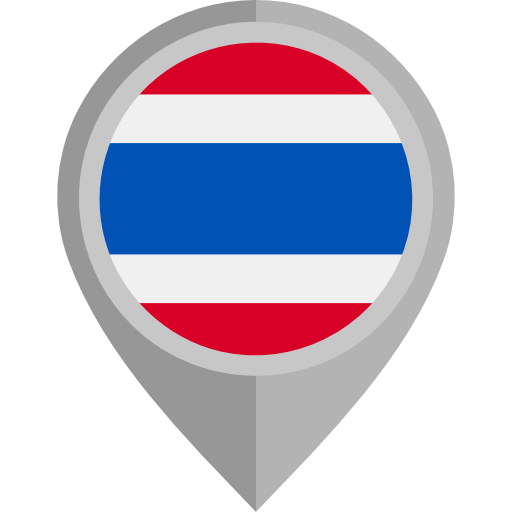 Thailand is the heart of the Southeast Asian mainland and neighbors the following countries: Myanmar, Laos, Cambodia and Malaysia. With great food, a tropical climate, fascinating culture and superb beaches, Thailand is the most visited country in Southeast Asia. It is called the "Land of Smiles". From thick jungles as green as can be, crystal blue waters that feel more like a warm bath than a swim in the ocean, and food that can curl your nose hairs and inspire your taste buds. Exotic, safe and cheap, yet equipped with every modern amenity you need. Thailand retains its quintessential identity, with a unique culture and history and carefree people famed for their smiles and fun-seeking lifestyle. Whatever your cup of tea is, there's a good chance the locals know how to make it in Thailand. In northern Thailand, many of the local people are not fortunate enough to have access to any type of formal education, especially those without Thai citizenship. Some are required to work in the fields with their families, while others are too poor to be able to afford the travel costs or resources or uniforms. Free education is not provided to all children. For those able to go to school, resources are at a premium, staff are hard pressed, and free education ends for many before most children are able to graduate. A number of the local communities are without the basics of life which most of us take for granted such as running water, clean/drinkable water, and/or electricity. As such, health becomes a constant issue. Building water tanks which bring clean water to villages, instead of women trekking for miles to the nearest clean source, is a godsend. Building a childcare center, or classroom, gives children the opportunity to learn, and improve their future chances in life. Planting banana trees saves the hills from eroding quickly, helping to prevent landslides and dangers to those living below. By making 4,000 clay bricks, it helps provide necessary resouces to build a childcare centre and be able to provide the environment where children can have access to education and care. Now more than ever, there is an immediate need for volunteers to assist in the education of not only young children, but also adults from surrounding hill tribes and local areas. WEATHER AND CLIMATE: The climate varies in Thailand depending on the region. The following are the three seasons in Thailand: November to February (Dry/Cool season) tempreatures range between 30 - 35 °C / 85 - 95 °F, humidity is between 50% - 60%. March to June (Hot season) this is the most difficult time for travellers unaccustomed to the heat. During these months, temperatures can soar to 40 °C / 105 °F with high humidity. July to October (Rainy season) the humidity averages just over 90% and the average tempreature is 29 °C / 84 °F. The area around Chiang Rai is home to thousands of hill tribe people, so schools are a mixture of many ethnic groups, including Thai, Akha, Lahu, Karen, Mien, Lisu as well as other tribes. The childcare centers are located in hill tribe villages and serve a vital role of preparing the children for government schooling, which is conducted in Thai language, not the children's native tongue. The role of the volunteers is to assist the teachers in taking care of the kids and conduct activities that will help the kids develop. The volunteer work schedule can vary from year to year, and term to term, as villages become accessible after the rains have finished, or a new school asks for volunteers to come to teach. Currently, the schedule includes helping at four different childcare centers, three schools, a hospital, a Buddhist temple, as well as lessons for local hill tribe tour guides, local staff, and local children each week. As a volunteer, you will be required to help out with any or all of the following: assist with lesson planning, Teach English, resource development, cleaning dorms or manual labor at the home stay. This program is available year round but from the start of March through to mid May, Thai government schools are closed. If you wish to volunteer during this time, alternative education programs such as teaching English at camps and other teaching projects are available in its place. PLEASE NOTE: The start dates available for this program are either the 1st or 3rd Monday of every month. Also, the minimum requirement for this program is 2 weeks. * EVERY VOLUNTEER WILL BE REQUIRED TO GET A POLICE VULNERABLE SECTOR BACKGROUND CHECK TO WORK ON THIS PROGRAM WITH THESE CHILDREN. The Outdoor program is for those who are happy to get their hands dirty, who like physical labor, and are reasonably fit. There is a wide variety of work, especially for those staying for longer periods, although you should be prepared for some monotonous work, this is part of real life, and we work in the real world. 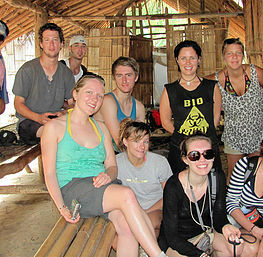 We attempt to get the Outdoor volunteers into a village, home staying, at least twice a month for 3 to 4 nights each. 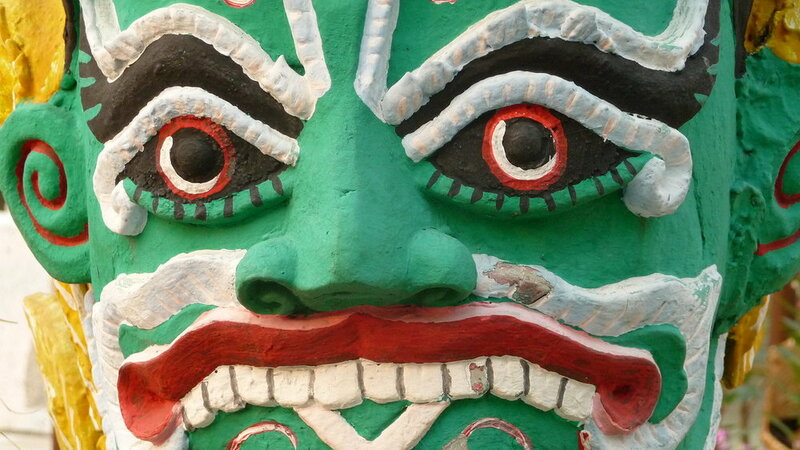 Those staying for more than a single home stay, should be going to different villages and/or different work, each time. During the remaining period, Outdoor volunteers are based on site at our foundation. Some work is done here to maintain our working capabilities, and some to experiment with new ideas, if we can develop workable methods of farming, or other agricultural skills, then these can be a way of increasing and improving the lifestyle of local hill tribes and communities. Some examples of past projects have included: construction of water tanks and water pipe extensions, building check dams, building or painting school classrooms, developing agricultural projects, assist with vegetable garden development and plantation, road repairs, repair and maintenance of homes of elderly villagers, building new houses, or toilets for elderly villagers or new staff office, making bricks, cleaning, washing the dogs. A position mainly for vets who have completed their studies with 5 or more years of experience with large animals. Tasks will include administering modern as well as traditional medicines under the supervision of a local vet. Additional tasks will include the upkeep of the area. A report on elephant care in the park area and environmental improvement plans is expected at the end of the stay. This special position is exclusively for veterinarian students as part of their course-work and are interested to gain valuable experience on the field working with large animals. The duration of this program is 28 days in length. This category is suitable for all visitors. It is designed for those who wish to work with elephants for the first time and gain knowledge about the local conditions and problems facing elephants in the area. NO previous experience is needed. 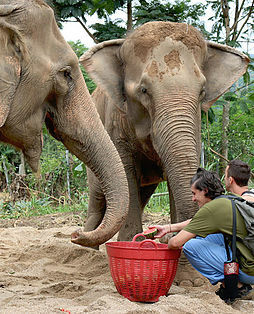 Tasks include assisting elephants keepers bathing elephants and general duties around the park and surrounds. Office work may be required of applicants with suitable skills. The maximum initial stay is 14 days (except in the case of trainee vets as part of their course-work) Extensions of stay may be available at the end of this 14 day period if space permits. 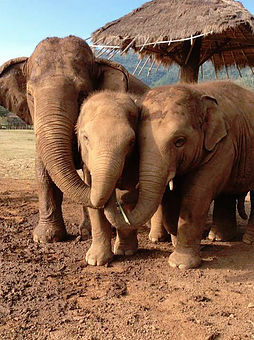 Volunteer jobs are varied, from bathing elephants to basic health care. Traveling around the country in a variety of modes, from four wheel truck to bamboo raft, volunteers will experience local and tribal lifestyles, culture and hospitality. VOLUNTEER REQUIREMENTS: Fluent in the English language, ability to focus and learn quickly, positive and realistic commitment to volunteering, open minded, self assured, positive attitude, flexible, dependable, committed and able to work in a team environment, sensitivity and affinity to others, clean, tidy, respectful, polite and modestly dressed. PLEASE NOTE: For this particular program, the start date is on a Monday and finish date is on Sunday.